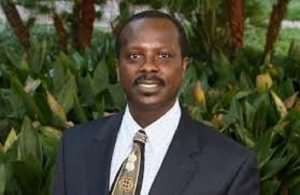 US-based legal practitioner and accounting professor, Stephen Kwaku Asare, aka Kwaku Azar, wants the government to halt the process of renaming public universities in the country. In a series of post on Facebook, he said, unlike private universities which are named after their founders, the state institutions are given names based on location or purpose. Prof. Kwaku Azar said public universities are seldom named after anyone because they are publicly funded. He, therefore, urged the government to put an end to such ‘renaming business’. “I am against renaming public universities after politicians. Very few, if any, of our politicians, have been that inspiring or done enough to warrant such an honour. These universities have been built on the back of farmers, miners, fishermen, truck drivers, hardworking mothers, etc. we can, if we want, honour these people. Enough of the political self-aggrandizement”, he noted. “JJRUDS; NOAUPS; KAGUHAS; and KABUENR. What is wrong with the simple world of UG, UST, and UCC, UEW, UDS, UHAS, UPS, and UENR?” he questioned in another post.